As former President George W. Bush steps back onto the public stage, he’s facing both criticism from detractors who point to his lingering unpopularity and divisive impact on the GOP, and praise from supporters who cite the importance of “compassionate conservatism” to the modern Republican Party. While the former two-term president has kept a relatively low profile since leaving office in 2009, focusing on private speaking engagements and his burgeoning painting hobby, he will be back in the spotlight Thursday for the dedication of his presidential library in Dallas, Texas. His re-emergence at this week’s event – which will feature all of the United States’ five living presidents – arrives just as his lasting political legacy comes into focus. 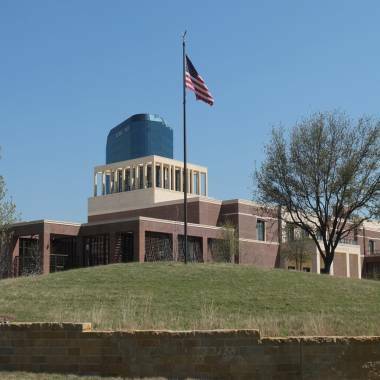 The George W. Bush Presidential Library and Museum in Dallas will be dedicated on Thursday. The controversies of the Bush administration – including the conflict in Iraq, the waging of the “global war on terror,” the aftermath of Hurricane Katrina and the fallout from the 2008 financial crisis – saddled the former Texas governor with staggering unpopularity by the end of his presidency, which helped give way to President Barack Obama’s ascendancy and an ongoing identity crisis within the GOP. The library dedication offers Bush loyalists an opportunity to highlight what they see as the positive legacy of his eight years in office. But even among supporters, there is a sense of resignation that he won’t win the kind of historical vindication that once seemed assured. 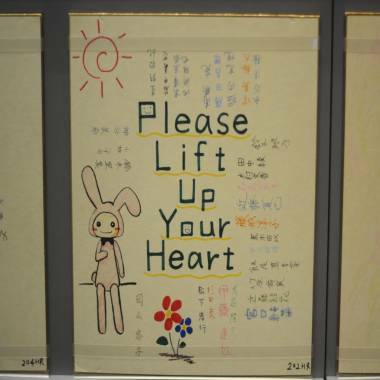 Letters written from around the world and sent to the White House offering thoughts and prayers after the 9/11 attacks are displayed at the George W. Bush Presidential Library and Museum in Dallas. A further study in contrast came during last summer’s Republican National Convention, where Bush was nowhere to be found in Tampa. Former President Bill Clinton, rather, was one of the featured prime-time speakers at his party’s confab, a stark reminder of the popularity gap between the two. For Bush supporters, the economic collapse in 2008, along with Katrina and the extended conflict in Iraq, are blemishes against him – but they do not believe that he deserves to shoulder the primary blame. And for those allies of the former president who have toured the library (and continue to defend their former boss), they describe the new library as a blunt and forthright assessment of the Bush presidency. For all of the baggage that continues to surround Bush’s eight years in office, many of his supporters argue that the unpopular former president’s record offers Republicans more clues about their path to resurgence than cautionary tales. And following some of the harsher conservatism of congressional Republicans in the 1990s, Bush tried to put a somewhat softer face on the party – much as the party is trying to do now – during his 2000 bid for the presidency. “He established the idea of compassionate conservatism, which is a concept that most Republicans realize was a winning message and one the party needs to return to in order to win,” said Mark McKinnon, a senior political adviser to Bush’s two presidential campaigns. 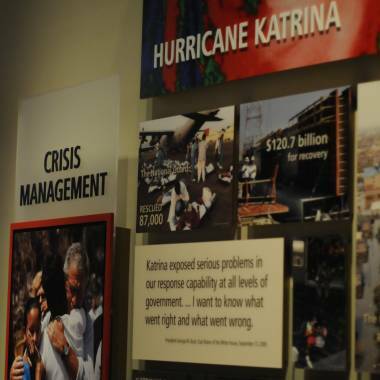 An exhibit is shown in the museum area at the George W. Bush Presidential Library and Museum in Dallas. Those aspects of Bush’s political strategy are what helped make him such a formidable opponent, according to Shrum. “The attempt he made with Kennedy and McCain to do immigration reform was right on the merits, but also right on the money politically as well,” he said. But as the party he helped cleave continues to search for a path forward, Bush himself said that he did not think the GOP is so hopelessly moribund that it’s beyond repair.